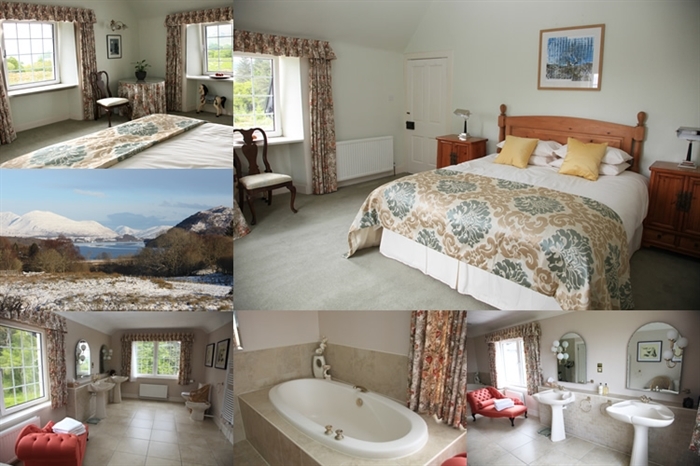 Luxury Bed & Breakfast at Inverinan Mor, situated on the shores of Loch Awe, set in 40 acres of land commanding stunning views of Loch Awe, Ben Cruachan and the surrounding hills. 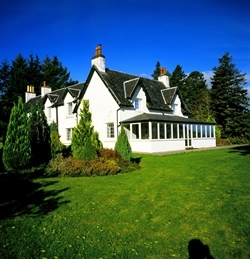 The house provides a secluded base for those wanting to enjoy the Argyll countryside. 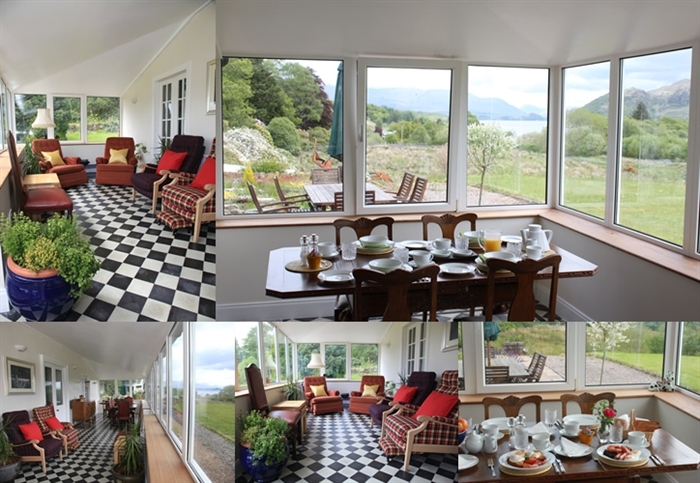 There are nearby forest walks and cycling tracks, fishing on Loch Awe for record breaking Brown Trout or monster Pike and an abundance of wildlife including Eagles, Ospreys, Hen Harriers, Red Squirrels, Deer and Pine Martens. There are many day trips to be enjoyed. To Oban, Seafood Capital of Scotland and gateway to the Hebridean Isles. Mull - a ferry trip from Oban - to see eagles or a visit to Tobermory. Inveraray, to see the Duke of Argyll’s Castle and the Jail! Tarbert - a typical west coast fishing harbour, Glencoe - a beautiful and historic site and nearby Fort William and Ben Nevis. Kilmartin with a Museum, walks and prehistoric remains and Dunadd - the place where the first kings of Scotland were crowned. Bring your boat and launch it from our private jetty. Enjoy free fishing on Loch Awe from a boat or the shores of Inverinan Mor - for the chance to catch a monster!. Other activities such as golfing, painting, photography, shooting, boating, sea fishing and archery can be enjoyed with prior notice. The peaceful environment has also been known to inspire rest and relaxation. Come and enjoy your stay with hosts David and Chan Crook. From the welcoming afternoon tea on arrival to the hearty breakfast on the day you departure.